I was reading last night that the Irish originally called Whiskey, “Uisce beatha” which means water of life. The mispronunciation of Uisce (ish-kah) lead to what we now pronounce today as “whiskey”. 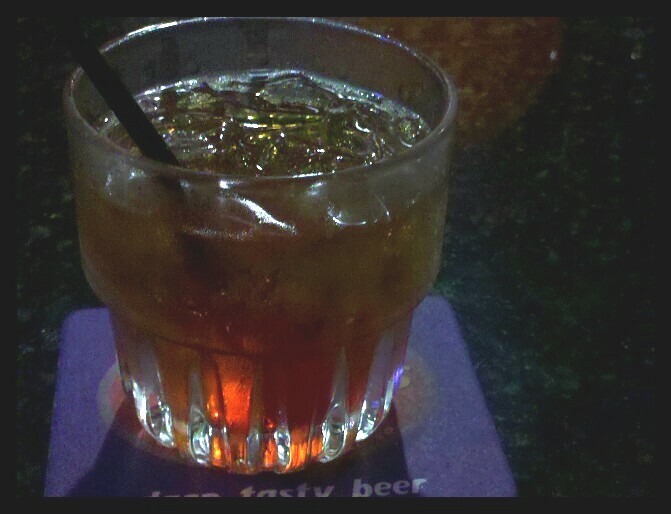 This is actually a Manhattan I drank last night at Extremes Sports Bar. And yes, whiskey is the main ingredient.